300 gr. Paper, 30.5 x 19.5 cm., 22 pages. 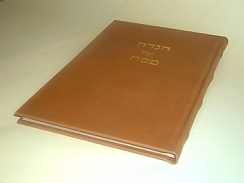 Full brown goatskin leather binding.